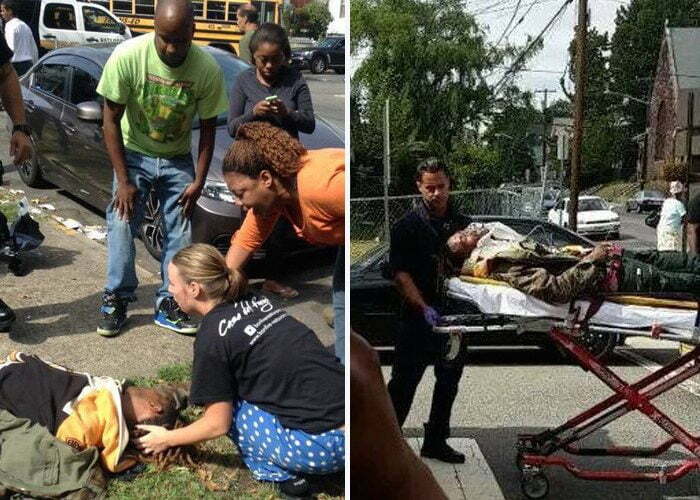 Fetty Wap got seriously injured in a motorcycle accident in is hometown of Paterson, New Jersey. 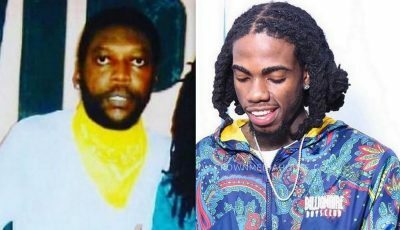 TMZ reported that the incident happened on Saturday afternoon when the rapper was riding on his motorcycle and collided with an oncoming car as he attempted to pass another one. The state of his injuries are unknown but photos circulating on Twitter show the “Trap Queen” rapper laying on the ground unconscious. Another photo show paramedics loading him into an ambulance and it appears as if he was sitting up. On Friday, Fetty Wap released a video of himself with his helmet on while letting his fans know that he will be hosting a album release party in his hometown. Fetty Wap new self-titled album was released on September 25, 2015. The 20-track project features appearances from Monty and M80. Fetty Wap associate DJ Louie Styles posted a photo of the rapper on Twitter showing him sitting up in a hospital bed. Seems he has injuries on his arm and leg. “wap is Gucci everybody thank you for your prayers ?? #Amen,” he wrote.